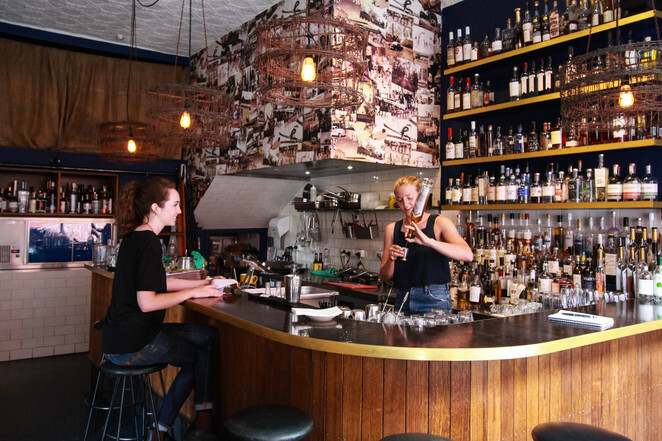 Located in pumping Fitzroy, just off Smith Street, lies a little Australian success story. Bad Frankie Bar is a true-blue, all Australian, real McCoy cocktail bar - with jaffles. 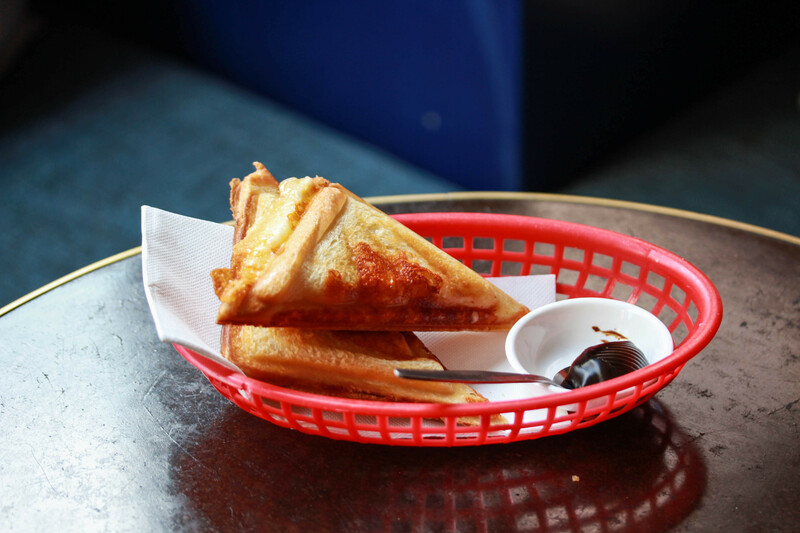 Yep, jaffles! Remember after school snacks and cheezy fingers on beach holidays? Remember Nan and Pa serving up hot and tasty leftovers sandwiched in perfect, steaming triangles? 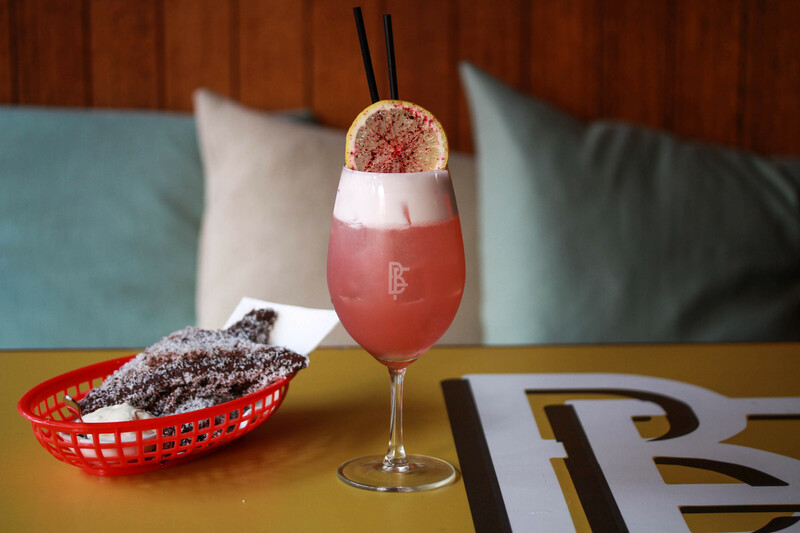 Bad Frankie serves up these nostalgic delights alongside an entirely Australian spirits collection. Australian spirits have surged in popularity recently, and for good reason because while buying local is a good thing so is world-class quality. Combining native ingredients and old-fashioned hard work, Aussie distillers are producing small batch craft spirits that rival the international brands. When we buy Australian, we're not giving some corporate fat cat his new Lamborghini, we're giving a little kid dance lessons or fulfilling a retiree's dream of making whisky. Giving the underdog a leg up is the Australian way. Inside Bad Frankie feels like Nan's beach shack. It's 70s with a bit of a nautical feel. People are hanging out here, making friends, talking about where these spirits come from and the old Holden's in the wallpaper montage. The cocktails make the most of Australian native botanicals. The Pepperberry Fizz is the obvious favourite. Also, Mrs French's Apple Pie No.2 for something fresh and summery. Other than thick, cheesy jaffles and pure Australian spirits, the other great pull of Bad Frankie is the staff. 'Down to Earth' and honest, they will chat with you for hours about your favourite drinks, their favourite distilleries and give tips about what to try next. It's part of what makes this place feel like home.